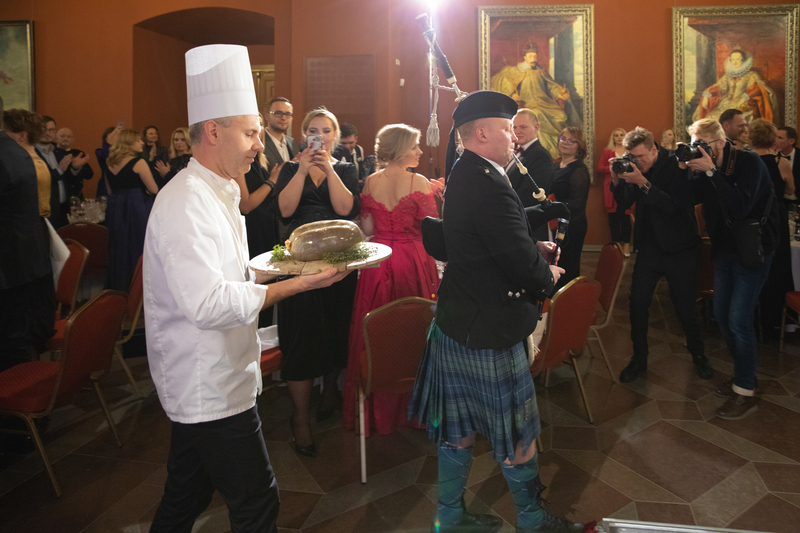 On Saturday, January 26th, the British Chamber of Commerce in Lithuania held its 20th Burns Night – traditional, charity event to celebrate the birthday of Scotland’s national poet, Robert Burns (1759 – 1796) and to raise funds for the local charities. 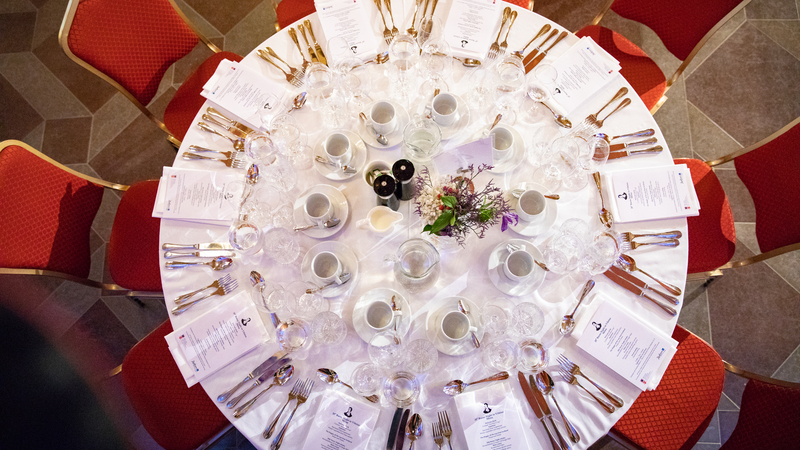 The largest and most popular event of the chamber was held in Palace of the Grand Dukes of Lithuania and was attended by 250 distinguished guests representing 18 different nationalities. The charity initiative “Happimess” that supports children who are suffering with oncological diseases. “Happimess” is also the name of the first charity shop for children in Lithuania. 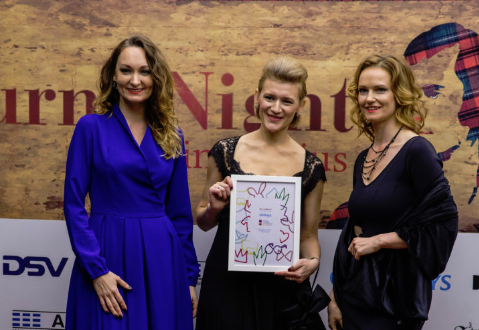 Funds raised at the 20th Burns Night in Vilnius will be used for the translation of the book about oncological illness into English. Youth Line (‘Jaunimo linija’) is a hotline run by volunteers providing emotional support to young people. 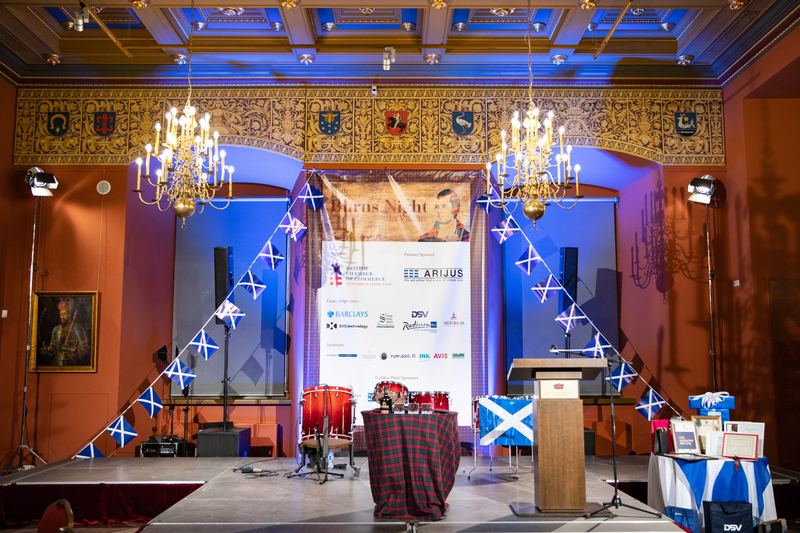 Funds raised at 20th Burns Night in Vilnius will be used to fully train and prepare at least 6 new volunteers. (1 volunteer costs 650 EUR to train). Traditional Scottish Toast to the Lassies were delivered by Nick Price, passionate about life, people and fun. Nick likes to think he had many of the characteristics of Robert Burns but without his talent! For some time, Nick had his business in Lithuania years ago and was BCCL Board member. Based in Scotland, he is looking for the new opportunities to return and set up a new business in Lithuania. The 20th Burns Night welcomed back Annabel Gaywood, who did deliver the Reply from the Lassies. Annabel was born and brought up in Stirlingshire where she learned to love Burns’ poetry, and in particular ‘To a Mouse’, from and early age! The ceilidh band this year – Rerr Terr, which is pleased to return back to Vilnius after 2016 and lead the guests through fantastic ceilidh dances. The band is one of Scotland’s best loved and in demand ceilidh bands. Rerr Terr was established in 1998 by three good friends and has gone from strength to strength playing regularly at some of Britain’s most prestigious venues for some incredible hosts such as J.K. Rowling, the Duke of Buccleuch and the Marquess of Bute. The trio play accordion, fiddle and drums in a lively and energetic fusion style and just makes people want to get up and dance. Come and join them after the dinner and have a rerr terr! Congratulations to Nick Price, who won Golden Charity Raffle prize – a Long weekend in Dubai for Two! And our big thanks goes to Mariano Andrade Gonzalez, Barclays and BCCL Board member for donating the largest amount of 1700 EUR for the auction prize. You could hear Scottish bagpipes playing not only during the party. 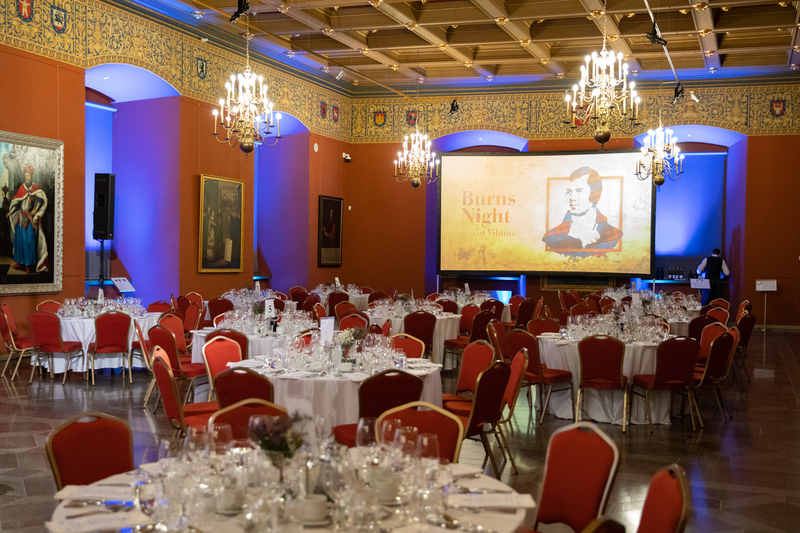 On the initiative of the British Chamber of Commerce in Lithuania, remembering the anniversary of the birth of R. Burns, the Uzupis constitution translated into Scottish-Gaelic was unveiled the day before. 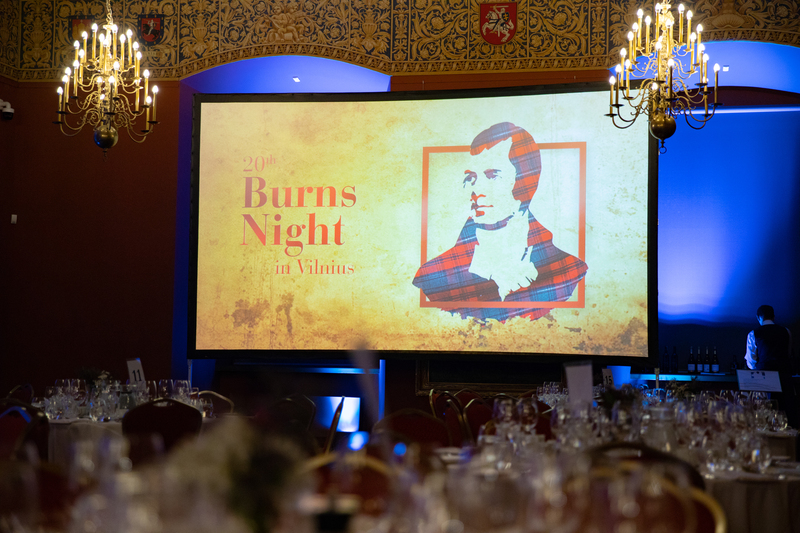 The British Chamber of Commerce is grateful to all 20th Burns Night Sponsors, charity raffle sponsors and everybody who was a part of our magnificent night. Without you all it wouldn’t be possible! National TV LRT Saturday morning programme (11.00 am) Click here.